Falcon's high performance key valve (HPKV) has double the flow rate of other dry valves and uses a patent-pending Bell Valve technology to provide safe, long lasting, low odour performance. Skanska were keen to implement the environmentally friendly Titanium AOP system, supplied by the Rodin Group, at the Royal London Hospital where innovation and utilising new ideas are part of the hospitals core values. The two AOP 50 units have been installed in parallel to provide the level of treatment required by Skanska in a demanding and prestigious hospital environment. Isoflow technology limits consumption in a range of fixed and hand held shower heads. Can be used in applications from fitness centres to healthcare. Constant Flow Aerators with patented isoflow technology are an easy retrofit solution to save water and money. Installation is simple and payback periods are very short. Design reduces the effects of lime-scale and maximizes the service life. Waterless urinals can save over 100,000 litres of water a year compared to water flushing urinals. Falcon are a world leader and have installations around the world from Barcelona Football Club to Beijing International Airport. Our range of products are suitable for commercial and industrial markets, where high water volume usage takes place. These sectors lend themselves to be the areas where the greatest water and energy savings can be achieved. From the ION ScaleBuster physical water conditioner to the Rodin Ultraviolet (UV) systems we look for innovative products that save energy and are not detrimental to the wider environment. Both products are WRAS approved. ION ScaleBuster is environmentally friendly in that it requires no power or chemicals to operate and is a 'fit and forget' solution to physical water conditioning both in terms of scale protection for hard water areas and corrosion prevention for soft water areas. Rodin's UV system is a water treatment system that uses UV light and a steel reaction chamber to disinfect water containing harmful bacteria, including Legionella, Cryptosporidium and Pseudomonas, within water systems. Click on water treatment to see the full Rodin range. 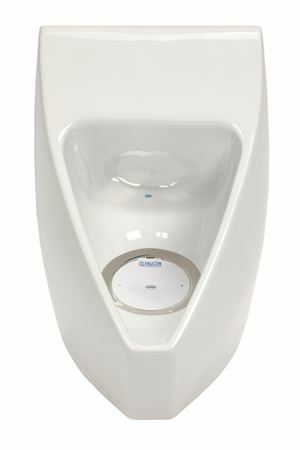 Waterless urinals by Falcon Waterfree along with the replacement cartridges and accessories. Save up to 100,000 litres of water a year per urinal and reduce carbon emissions by cutting demand for potable water that is used to flush urinals. Falcon have now launched the new Velocity cartridge which replaces the old Sealtrap and is compatible with all Falcon and Amitage Aridian waterless urinals. Water saving TMV3 approved shower systems that have been successfully used over a prolonged period to time to save water for commercial organisations such as gyms and health clubs. New isoflow designs ensure water consumption is capped once a given level has been reached. Water saving taps and aerators that can either be retrofitted or installed in new build situations. Click on water conservation to see the full Rodin range. We supply housing associations, councils and the Ministry of Defence amongst others where maintenance costs can be high and in many instances can be significantly reduced. The Rodin Group prides itself on delivering excellent technical support on the products we specify and supply. Our external sales team and internal support staff are able to provide a friendly and efficient response to all enquiries across the product range. ION ScaleBuster is a patented physical water conditioner that can deal with both hard and soft water. It has no annual running costs, is environmentally friendly and is easy to install in a wide range of applications.